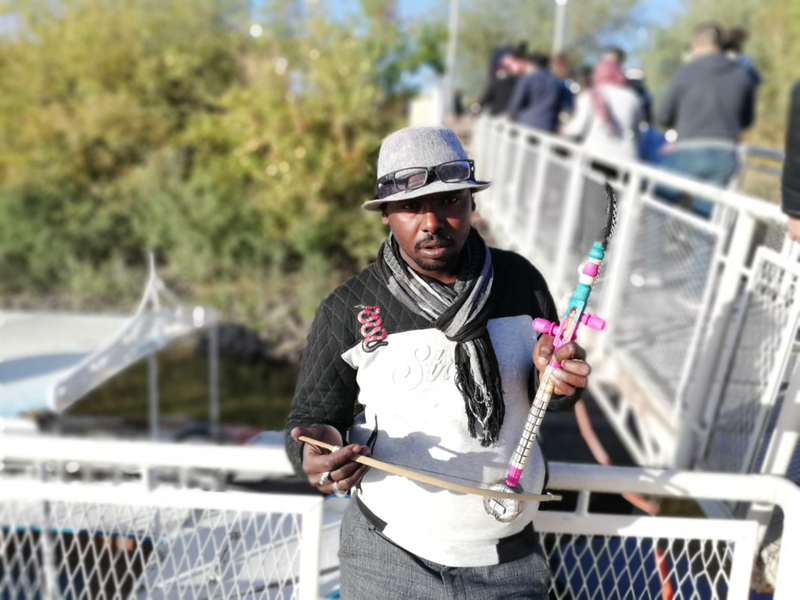 Cairo: At a Nile-side esplanade, he tenderly held a locally made fiddle and started playing famous Egyptian pop and folk songs for pedestrians. For years, Idris Farouk has done the job of playing and selling fiddles known in Egypt as the rababa, an old string instrument believed to date to the eighth century. 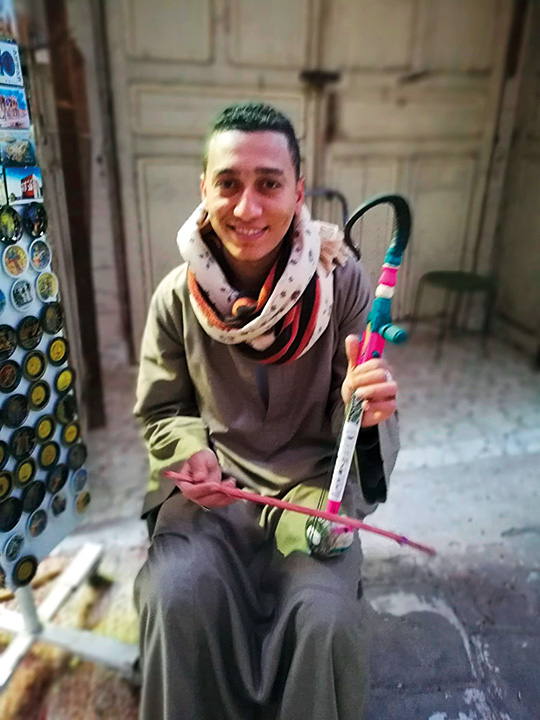 “I inherited this job from my father, who had a passion about it as he was a fan of folk singers, who played the rababa using a bow while narrating tales,” said Farouk, a native of Upper Egypt. “This was the main tool of entertainment in the era before the appearance of the radio and the television,” the 35-year-old man told Gulf News. In the bygone years, rababa musicians, clad in the traditional flowing gallabiya garments, used to perform to cafe patrons in Egypt and recite epic poems about legendary heroes. Their storytelling got them a star treatment as the genre was widely popular in Egypt’s rural and working-class areas. “Like everything else, the people’s taste has changed over the years with the popularity of the television in the 1960s and now the proliferation of the satellite channels and the Internet,” Farouk said wistfully. “You can hardly see one such a singer today at baladi [local] coffeeshops which, like the chic cafes, have turned to satellite TV and video game services to cope with the changing times,” he added. Farouk is one of a few musicians, who roam the streets in Egypt playing and hawking the rababa to eke out a living. “It is not merely a matter of earning a living. Most of us like this instrument. We are interested in restoring its glory days and introducing it to the generation of the Internet. Otherwise, we would not have borne the trouble of walking in the streets for long hours in return for a few pounds,” said Farouk. It is not merely a matter of earning a living. Most of us like this instrument. We are interested in restoring its glory days and introducing it to the internet generation. But unlike his ancestors, Farouk plays the bowed instrument without singing. “The rababa produces touching tunes that appeal to the ear and the heart,” he said. Also called the Oriental rebec, the rababa has a pear-shaped body with a long thin neck and a peg sound box at the end. The strings and the bow are made of horsetail hair. Sophisticated versions of the rababa have a metal sound box and are exquisitely decorated. They are usually used by musicians performing at concerts and on television shows designed to revive interest in this the art. Rababa musicians also perform at festivals held to mark the birthdays of Muslim and Christian saints in Egypt. 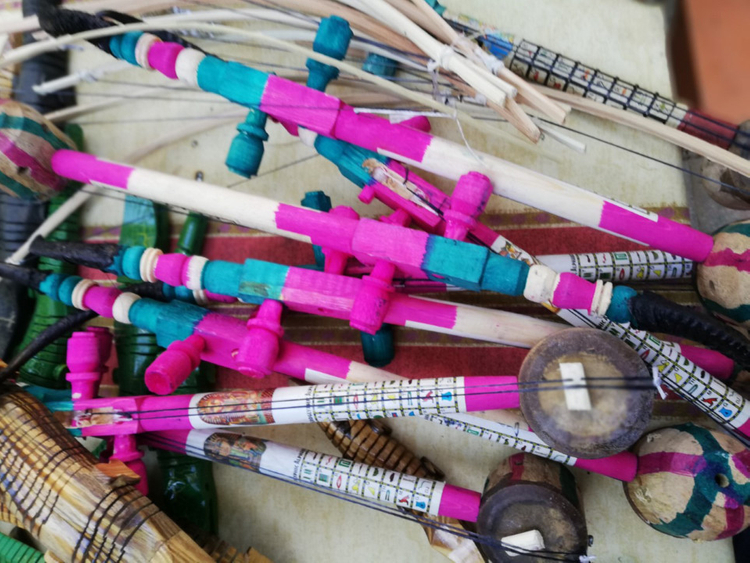 “This attention has attracted people anew to the rababa,” said Ahmad Hassanein, as he sat playing the instrument outside his souvenir shop to draw potential customers. Egyptian rababa performer Idris Farouk plays popular music with the string instrument. “Increasing numbers of parents have realized that the rababa is part of our heritage of which we should be proud and preserve it. Therefore, they buy the instrument for their children when they see it on the street especially as it is cheap in price and do not need batteries like toys,” added Hassanein. “I spend time with the child showing him how to hold the rababa with its attractive colours and play it. The first sounds coming out of it make the child feel happy,” said Hassanein. The small rababa, made of dried palm wood, sells for around 10 pounds (Dh2.1). Bigger and more durable ones retail for up to LE200 per piece, depending on the quality of its components, according to Hassanein.